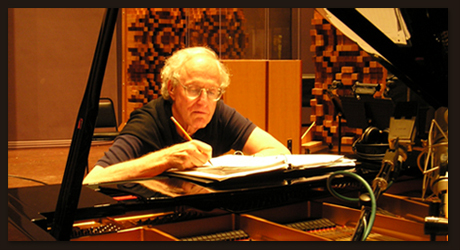 David Shire, an Academy Award and two-time Grammy winner and multiple Tony and Emmy nominee, has composed prolifically for the theatre, films, television and recordings. 3/13-15: Master residency and concert at San Francisco State Univ. 10/18-19: World Soundtrack Lifetime Achievement Award recipient at Ghent, Belgium. 7/5-8: Concert appearances at MOMSA film music festival in Malaga, Spain. 4/30-6/6/10: Take Flight, American premiere production at McCarter Theatre, Princeton. 11/16/11-11/19/11: At University of Buffalo: a new review, It Goes Like It Goes, The Music of David Shire, is performed by theatre and dance students. © 2008 David Shire All rights reserved Unauthorized use of content on this site is a violation of applicable laws.